See Europe in a day! Wouldn’t it be great if you could visit all the fantastic sights of Europe in one afternoon? 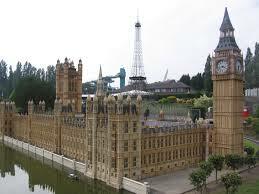 At Mini Europe you can do exactly that! 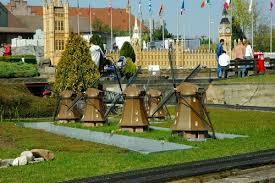 This miniature model park in Brussels has around 350 miniature scale models which depict some of the best-known architectural highlights from the 27 European Union member countries. 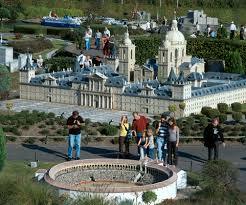 After all, since Brussels is capital of the European Union, a Mini Europe is very appropriate. It all started in 1987 when some art historians selected over one hundred buildings from various parts of the European Union. Since it was art historians, rather than those in the tourist industry who selected the miniaturised monuments, Mini-Europe is rather highbrow as theme parks go. 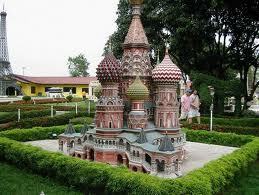 As you stroll round, you will see that the buildings are arranged in country order. Belgium, as host, is represented by the largest number of models - over 15, compared to Finland’s one (Olavinlinna Castle), making for a curious mélange. 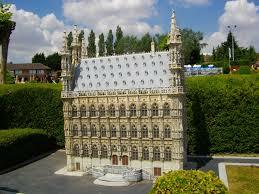 The quality of the models is top notch and some, like Brussels Grand-Place, cost as much as €350,000 to make. The miniature trees and plants in the park make everything appear realistic and the scale (1:25) makes kids feel like giants! You could start your visit by going to Great Britain - you will know you are in London when you hear the familiar chimes of Big Ben! Don’t miss a visit to Bath, a World Heritage City with some of Europe’s finest architectural sites and Stratford-upon-Avon, birthplace of the bard, William Shakespeare. Before crossing the channel to France, (a cross-section of the Channel Tunnel is represented too), take time to have a look at Dover Castle in Kent. Time now to visit Paris. Wander past the 12.85 metre high Eiffel Tower, visit the Pompidou Centre and the Arc De Triomphe, the arch honouring those who fought for France, particularly during the Napoleonic Wars. During your whirlwind European tour, you won’t want to miss some of Italy’s most famous sites including the Leaning Tower of Pisa, one of Italy’s most identifiable landmarks and made of real marble. Visit Venice and marvel at the gondolas sailing along the canals, the Doges Palace and St Mark’s Campanile. However, visitors can do more than simply admire the sights as some of the models are interactive. This means you could make the Berlin Wall fall if you wanted to or see Vesuvius erupt by simply pressing the button. There are various moving features too, like little railways, cable cars, an airbus and watermills. Miniature trains travel between different cities, toy cars and boats show the traffic on streets and waterways. There is a model Ferris wheel, a space rocket, the Calypso, Jacques Cousteau’s ship and you can see mini tourists, admiring the sights!